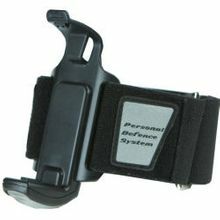 This armband is designed specifically to carry the Tornado pepper spray system unit, either the 5 in 1 or the 3 in 1. The Tornado arm band with directional light accessory for use with the Tornado defense system is ideal for all outdoor activities- walking, jogging, hiking, or hunting. Just strap to either arm and you have your Tornado ready in case of emergency. The arm band also illuminates the immediate area and allows others to see you from a distance. Unit requires 2 AAA batteries (not included). Note: This is an accessory only; the Tornado defense base unit sold separately.